For several months now, Lena has been grabbing little notebooks, Post-it pads, or scraps of paper when we go out for any kind of adventure. She's been sketching the little ladybugs she finds in our house and on our walks around the neighborhood. Despite her best efforts, her four-year-old brain hasn't been able to keep up with all these bits and bats of paper she was trying to collect! 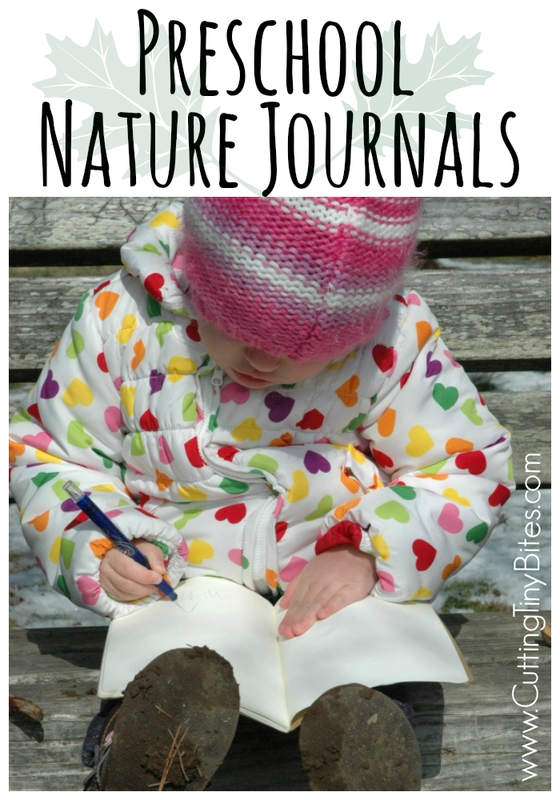 To keep all of those sketches, ideas, and lists in one place we made Preschool Nature Journals. They've been a big hit! 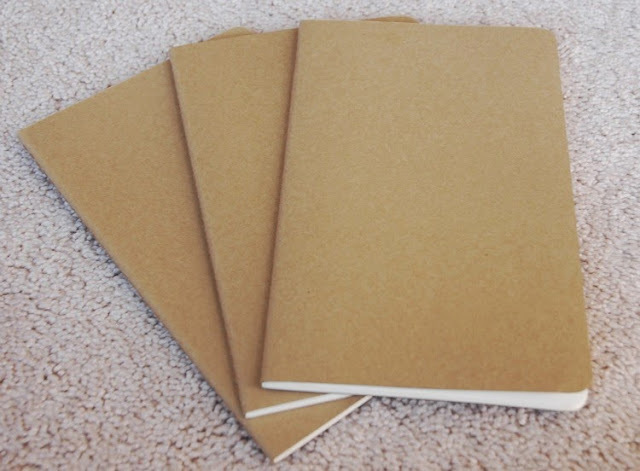 As I set out to find something suitable, I had three criteria: a cover that the girls could decorate; blank (non-ruled) pages; and fairly sturdy. I finally found what I wanted at our local Target, but they are also available here on Amazon. These Moleskine journals come in a pack of 3 (for a reasonable price) and have a hefty kraft paper cover. You could, of course, use whatever you find or simply make your own by folding copy paper in half and adding some staples along the spine. 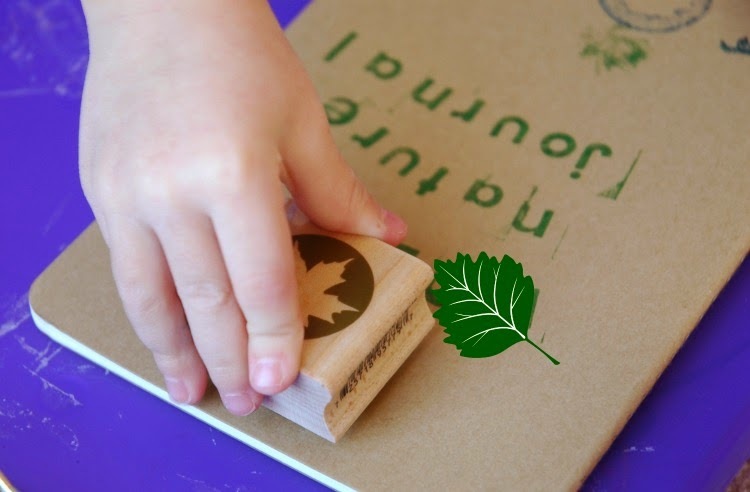 Next we decorated the journals with some nature-y rubber stamps. I used our Melissa & Doug alphabet stamps and stamped "Lena's Nature Journal" and then let the girls add some leaves and other decorations. 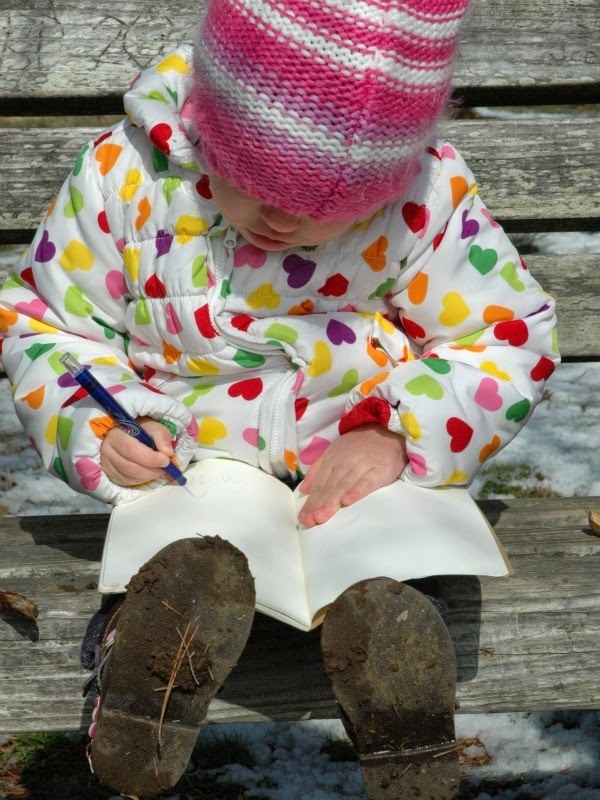 Your child could also decorate their journals with crayons or colored pencils, or simply leave them blank. Then we waited. And waited. And waited. 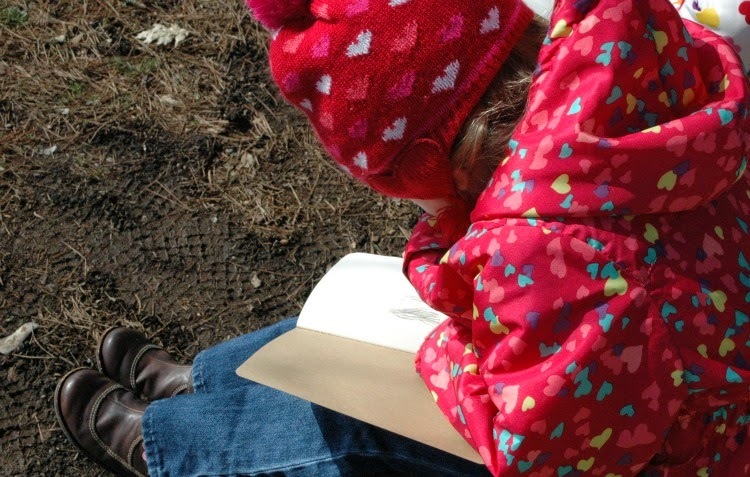 We waited for weeks for weather that was even remotely suitable for nature journaling. Going out to play in the snow is one thing, but we needed it to be warm enough for little fingers to hold a crayon! Finally, we headed out one morning to a local waterfront park. We weren't able to get deep into nature given our limited window of suitable weather, but it was plenty nature-y enough! 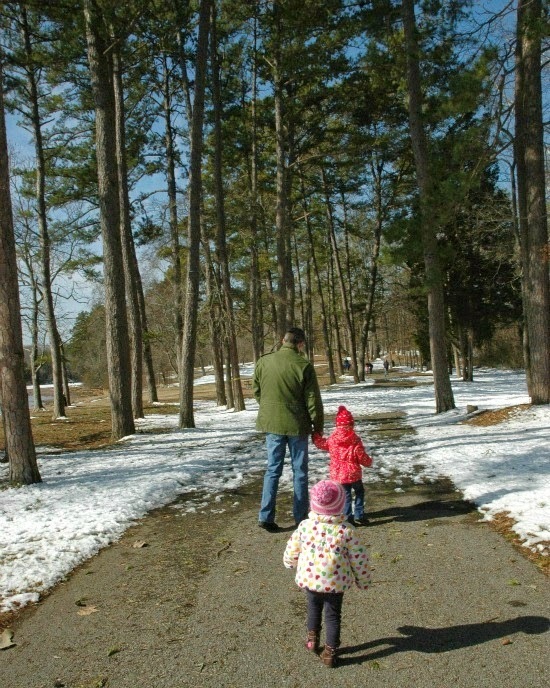 You could visit a park, a nearby forest, or a backyard (your own, a friend's, or a relative's). 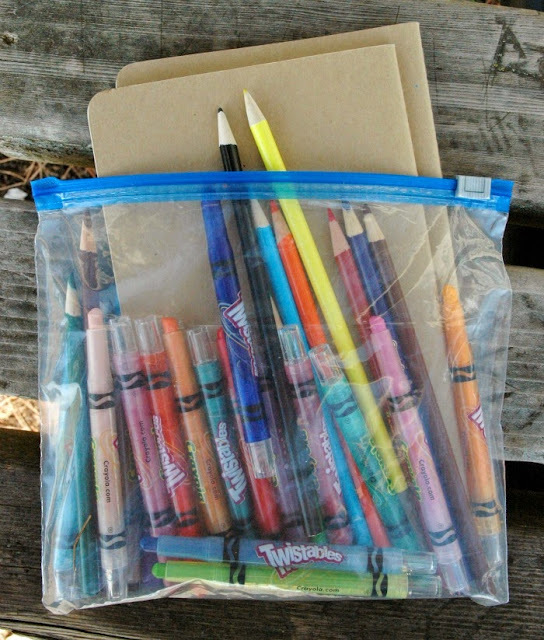 I packed up a little bag with the journals, crayons, and colored pencils. The girls gathered some sticks, twigs, pine cones, and acorns. Then they settled in on a bench, I added the date and location to the top of the page for them, and then they began to sketch. They asked for different colors to use, switched which objects they were sketching, gazed at the lake in front of them, and asked questions about their sticks and the acorns and the pine cones. Then we packed up and headed home! My girls LOVED this activity, despite the cold. Lena has already asked when we can use them again (when it stops RAINING)! Remind your children before you begin that these are special journals that they should be careful with. My girls would scribble on every page in the matter of 5 minutes if left to their own devices. I asked them to be thoughtful with their journals. Don't limit your children to sketching! 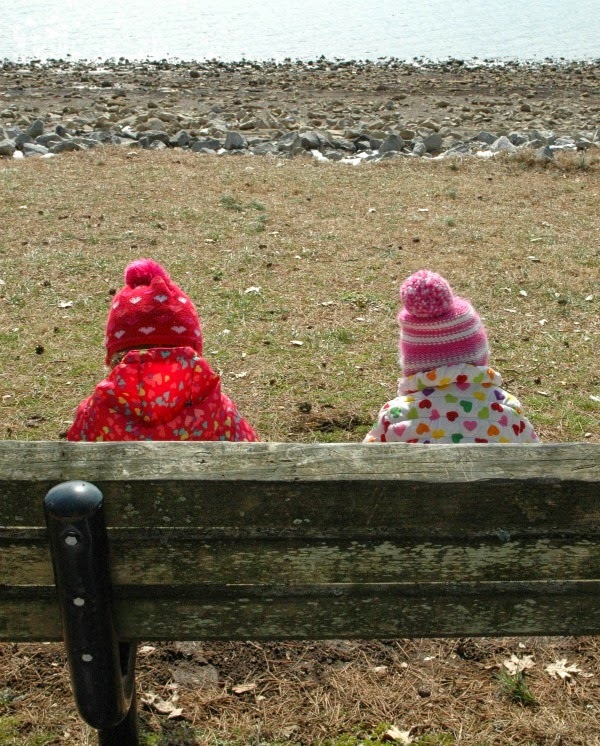 Encourage them to them dictate thoughts or stories to you about what they're seeing or experiencing. You may want to bring along a magnifying glass so that you can examine things closely. Consider doing leaf rubbings if your pages are thin enough (ours weren't) or flower pressing. Try to journal in all seasons! As you can see, we had a successful nature journaling trip even in winter! 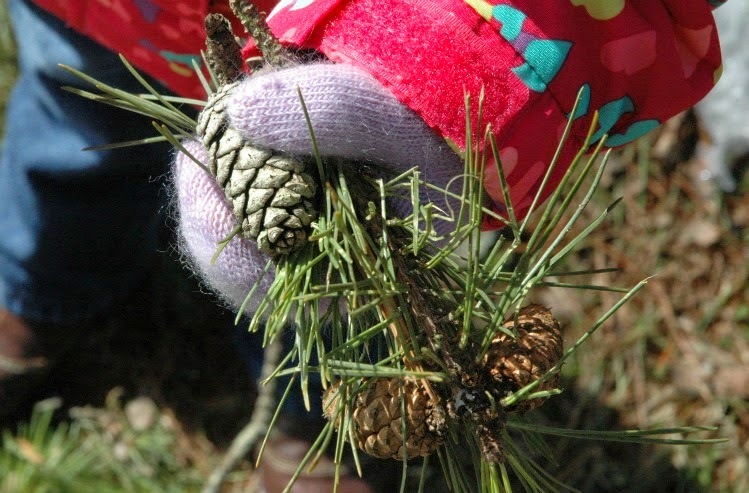 Visit the Cutting Tiny Bites Nature Play Pinterest Board below for more great nature play ideas! Preschool Nature Journals. Great way to get kids of all ages outside, good for classrooms or home use.